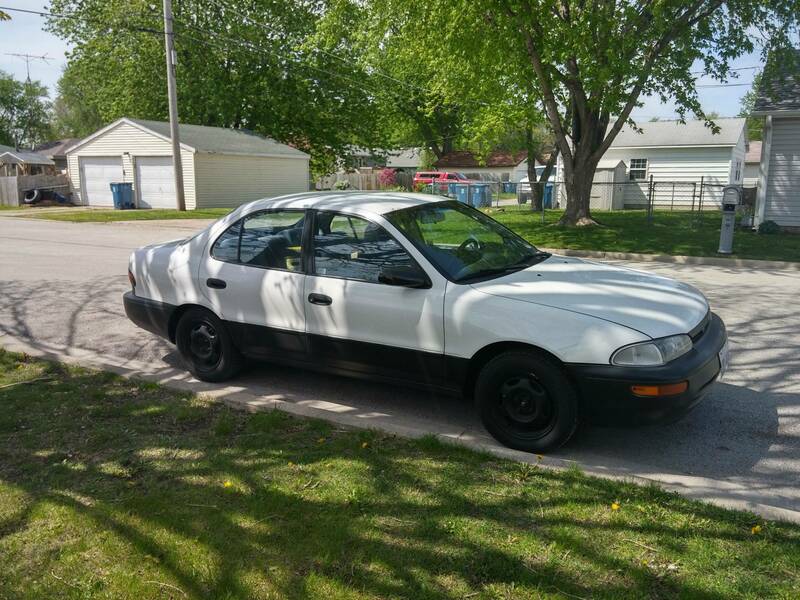 Hey guys I'm new here, Ive recently been updating my 98 corolla LE mostly just maintenance and so on. We are on working on the struts and I was wondering if anybody is currently running or has heard anything about the fcs brand struts. I found them on amazon and they are basically the cheapest replacements and the reviews I'm seeing on amazon a positive just wondering if anybody here had any input or suggestions?? I switched out my rear struts back in July using the FCS struts on Amazon. FCS Struts I like the price point and the decent reviews, so I picked them up. The only caveat is that you have to cut out a notch for the brake line or bleed the brakes. My friend (whose house I did the job at) is a roofer/contractor, so I just used his saw-zall with a metal cutting blade on it. Cut a notch, attached the brake line clip and all has been fine since. It was definitely worth the extra money compared to others I found on Amazon, since I didn't have to re-compress the spring. This was my first strut change and it was pretty easy. The hardest part was getting things off that have been torqued in there for a really long time. I just got a long pipe and put it on the end of the wrench and the nuts would finally give way. Right around the corner is a high speed (50+) down hill, left turn with a bumpy road. I took it a few times before the swap and if I was doing full speed, the rear end would fishtail. Not horribly, but noticeably. When I put the new struts on, no fishtail. My GF and mom both rode in the car on separate occasions and they noticed how smooth it was (save for the bumps in the road). As far as longevity goes, obviously I can't speak for that. Come to think of it, I need to do a review on Amazon for these. I would recommend them. Thanks for the reassurance man! I went ahead and picked up 2 for the front for only $113 amazon prime! Thats what I read from the other comments was the bit about the brake mount being funky and having to cut the slot. Im really excited to get these things in and see how it changes the ride. 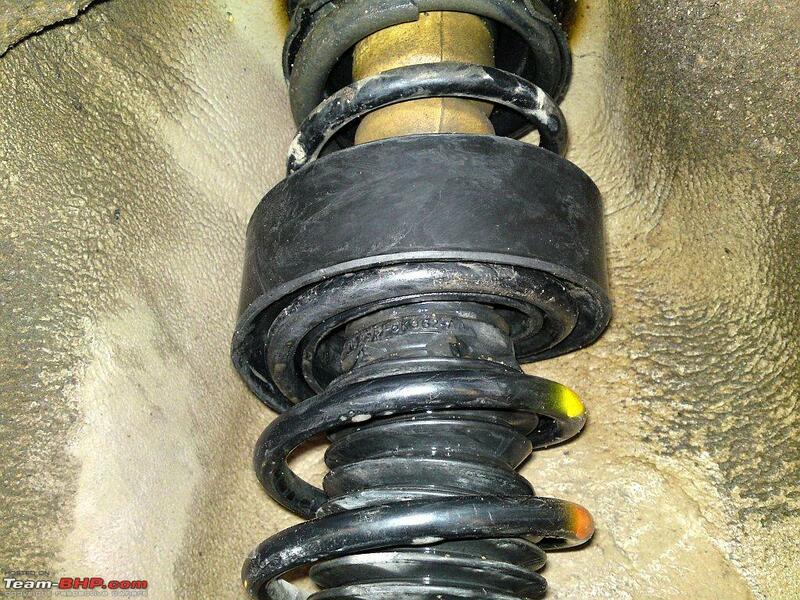 I wouldn't be surprised if im on the original shocks n springs now at 154000. Also you may be able help me with another question, front strut tower bar.. worth it? will anyone suffice? Unfortunately, I can't help from personal experience. I would like to get a TRD strut bar, but availability, price and a long list of other things to do makes this a back burner mod. I also don't generally race around corners either. So, best answer to 'is it worth it', would be to work within your driving style. If you regularly race or drive fast, then maybe a good idea. If you drive 55 on the 65 highway, maybe not. I replaced my rears with these FCS strut assemblies, all seems fine as far as ride goes, but ride height seems rather low compared to the fronts (about 1-2 inches, very noticable). Did either of you experience this? Thanks! I didn't notice a major ride height change, but I will double check the measurements and get back to you. Did you double check that they are installed properly? Yes they are installed correctly as far as I know. The rear was sagging before I replaced them with the FCS assemblies (worn springs) and unfortunately the rear is still sagging compared to the front, although not as much as before replacement. Where are you measuring the ride height? Visually, the rear on the 8th gen Corolla, especially if referencing to the wheel well gap - the rears always look like they are sagging compared to the fronts. You have to measure from the rocker panel closest to that corner of the car to the ground to get the correct height. Correct, between the fender and tire will be different from front and rear. Almost like an optical illusion, makes the car look lower in the rear. Correct way is to measure from the bottom of the rocker panel to the ground in each corner - should be all pretty close. Ok, so I measured the front vs the back from the side underneath the doors on all four corners and it was not really that far off - about a half an inch or so. But the front started clunking over bumps recently so I figured the struts could be going so I found the FCS struts for the front second hand (unused) for a very good price, so I figured I'd just grab them and replace the fronts. Everything went good and they ride very good, the biggest issue was that the new struts had larger bolts vs the OEM (12mm vs 14mm socket size, not sure of the stud size), so I had to widen the holes on the body a bit (with a dremel). But now the front is now even higher compared to the back, ride seems good but I don't know what to think, maybe the rears are just using softer springs? Maybe KYB would match the fronts better.. Maybe I should contact FCS again (I emailed them about the ride height when I put the rears on in Feb and they never really got back to me)? Looking at the picture, the ride height looks OK to me. But I can see where you can visually say that the fronts are higher - due to the fender gap above the top of the wheels. Also note that new springs can take some time to settle, so the fronts might come down a hair after a couple to several weeks, depending on the driving conditions. Replacing the rear springs - may help, if they are sagging at all. Fronts will have a higher spring rate to handle the nose heavy FWD layout - so that just amplifies the visual effect. But I don't have any info on the spring rates on FCS assemblies. I think OEM was 150lbs/in front and 100lbs/in in the rear - but can't remember off the top of my head. Toyota generally spec's pretty soft springs from the OEM - your Prism is no exception. When I installed some TRD springs - the fronts dropped a noticeable amount, but the rear were only marginally affected. Found out that my rear springs sagged almost an 1" from new - as I carried a lot of equipment in the car for my job. Yeah the springs are pretty soft, but they feel alright to me. I'm not racing or anything like that, the steering is very light on these cars anyway ... I don't even have sway bars in the rear, which is strange.. Of course not in the front either. If the fronts come down a bit that'd help, but I still don't think the rear look right. Here is how stock ride should look. I know about 6-7 years ago ride height in the rear was much higher than it is with these new assemblies (I have a few photos).. But it started sagging in the last two or three years, which is the main reason I replaced them (the struts weren't doing so well either). Could any of the adjustment in the rear affect ride height to that extent? How do you feel about those rubber spacers? They slide in-between the coils. Weird on the sways - this a 1.6L engine? Those I believe didn't come with any swaybars, the larger 1.8L on the LSi trim added rear sway but no front sway. Yeah, not a whole lot you can do with the ride height, especially with this setup. Only options are those rubber or polyurethane spacers. I know that they work well on trucks that have a constant load in the bed of the vehicle. They also are designed not to slide out, though in extreme suspension movement, they could shift on you. What I'd be more concerned is what they will do the ride - you're effectively making "dead" coils - or coils that are limited in movement, which will affect overall spring rate. That in turn could degrade the ride - by how much, hard to say for sure. Definitely a quick option - saves you from having to replace the springs.